To be played at Lake Karrinyup Country Club from 14-17 February 2019 and tri-sanctioned by the ISPS HANDA PGA Tour of Australasia, European Tour and Asian Tour, the ISPS HANDA World Super 6 Perth combines 54 holes of traditional stroke play across the first three days with an exciting knockout match play format for the fourth and final round. A regular cut will fall after 36 holes before the field is then further reduced to the top-24 players following 54 holes of regulation play, with any ties for 24th place being decided by a play-off. Those remaining players will then earn their places in the six-hole shootout. Any matches tied after the six holes will be decided by playing the new Shootout Hole - a purpose-built 90-metre hole constructed at Lake Karrinyup, with a tee placed adjacent to the 18th fairway and utilising the 18th green. 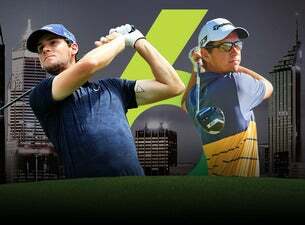 The ISPS HANDA World Super 6 Perth is a golf tournament designed to retain the traditions of the game whilst appealing to a broader audience.